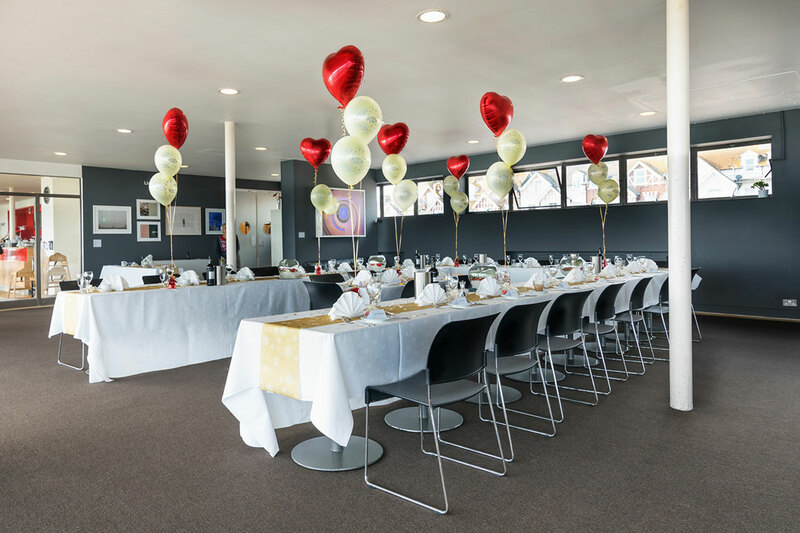 Galleries with international exhibitions for your guests to view, excellent photo opportunities with surrounding seaside scenery; let alone the linear beauty of the building, we offer the perfect venue to host the perfect wedding. Impress your guests by hosting private lunches, birthday parties, drink receptions, product launches & press days in some of our finest spaces. 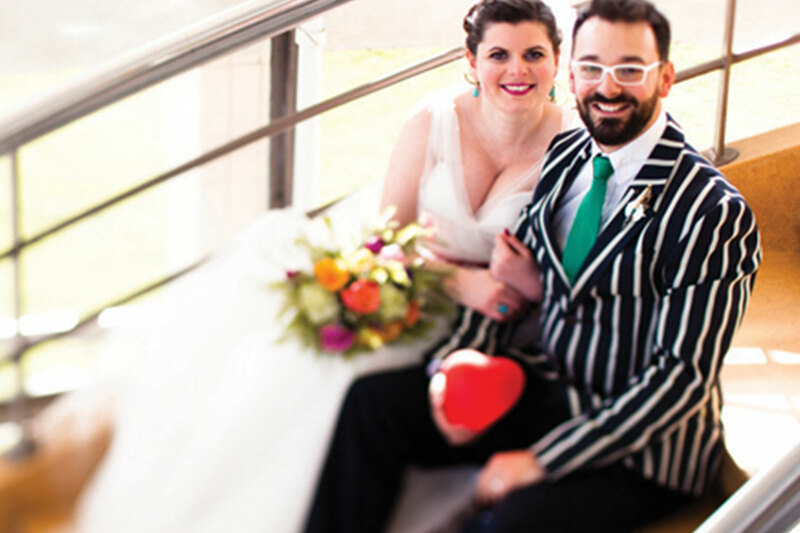 We offer a variety of unique, easily accessible film and photography spaces including the magnificent sweeping spiral staircase, the 'birdcage' window and of course the spectacular auditorium with its hung ceiling & sprung floor. Our spaces allow you to tailor every part of your presentation, board meeting, seminar, training or away days to both subject and audience. 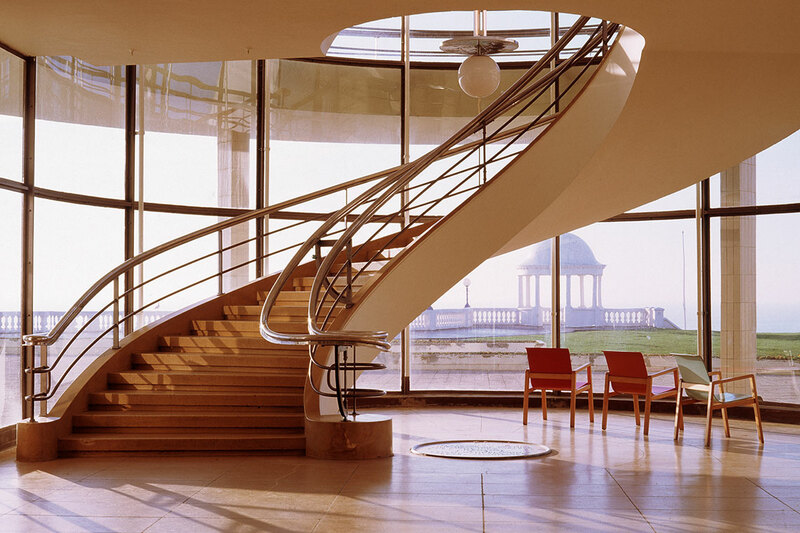 Situated just above the promenade and seafront of Bexhill on Sea, our Grade 1 listed Modernist Pavilion offers a variety of unique and beautiful spaces to suit your needs. Designed by Eric Mendelsohn and Serge Chermayeff in 1935, and refurbished as a centre for contemporary arts in 2005, our stunning building is the perfect choice whatever the occasion. 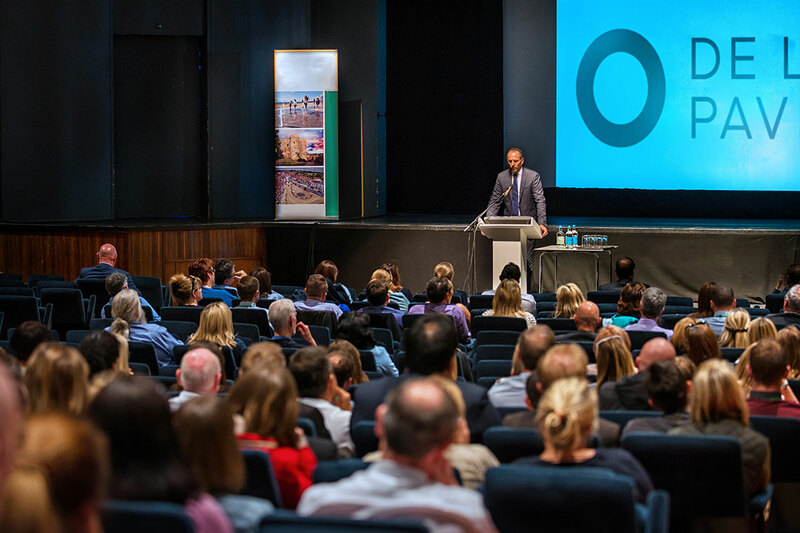 Our largest and most prestigious space, with its iconic ‘dimpled’ ceiling and large stage area with fully equipped lighting and sound desk, is suitable for large- scale conferences, award ceremonies, or away days. The Restaurant space, the Cafe Bar, outside the Gallery and the outdoor balconies can be hired on this floor. A special bonus is the fabulous sea views! The Restaurant space is sleek, modern and can be set to your specific requirements in. The capacity is 220 for a standing buffet and 110 for seated. We can increase the capacity if you would like to keep your party to drinks, nibbles and canapés. You can have exclusive use of the whole of the First Floor after closing hours and include the Café Bar area to create a lounge-style bar with our leather sofas and coffee tables. Our Studio is a stand-alone space for the smaller scale away day, seminar, training session or workshop. It can be found on the west side of the building and is a much more private space, with theatre style seating for up to 50 people or 20 boardroom-style.